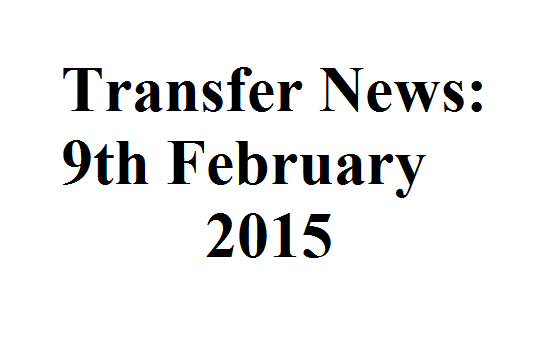 Transfer News: 9th February 2015 Marco Verratti to leave PSG, Arsenal sign Chris Willock, Thibaut Courtois on Real Madrid’s radar, Jackson Martinez want Porto exit. Marco Verratti to leave PSG, Arsenal sign Chris Willock, Thibaut Courtois on Real Madrid’s radar, Jackson Martinez want Porto exit and much more. Paris Saint Germain have put a £40million on midfielder Marco Verratti. Premier League duo Arsenal and Manchester United are in the race to sign the 22-year-old Italian player in the summer. Arsenal youngster Chris Willock has penned his first professional deal at the Gunners, according to Arsenal official website. Real Madrid are likely to try for Thibaut Courtois if they fail to land Manchester United stopper David de Gea, as per Daily Star. Real was strongly linked with De Gea stopper in the past few months. Southampton are eyeing Marseille attacker Andre-Pierre Gignac, according to Daily Mirror. The 29-year-old Frenchman will be out of contact at the end of this season. Porto striker Jackson Martinez will leave the Portuguese outfit as he admitted that he want a new challenge. Premier League sides Liverpool, Arsenal and Tottenham could reignite their interest. Aston Villa are taking serious interest in Liverpool striker Rickie Lambert, as per the reports. The Villains failed to secure his deal on the deadline day but are willing to land him in the summer.